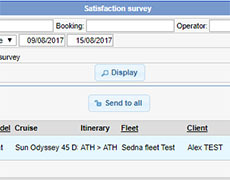 with access to real-time data of +150 fleets , +4900 boats, powerful sales, accounting, administrative & marketing tools included. The Full Broker Pack is 100% adapted to your charter business. 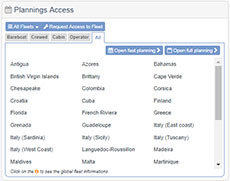 All plannings display data in real-time so that you can manage your charter inquiries with confidence and efficiency. with email tracking & Stats to follow your sales. 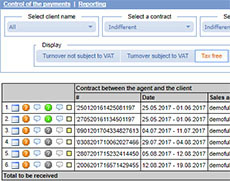 The Accounting section enables you to manage your relation between your agency & your client and your relation between your agency & your fleet operators. The “Special Offers” that displays specific fleet offers, mainly for One-Way charters. 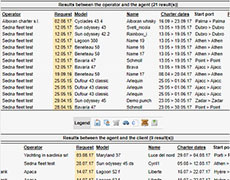 This module is dedicated to broker/fleet interactions regarding recent charter files. 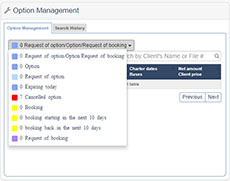 It has a real success with Sedna brokers because its intuitive ergonomics enables you to manage with just few clicks all your current options & bookings at each stage of sale. 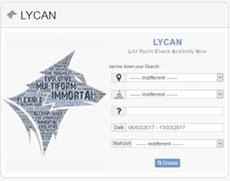 A Search History is also available for you to easily find the files you recently searched for. 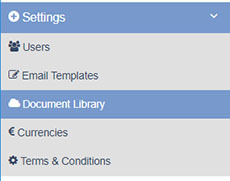 Moreover, in each product back-office, usage stats are provided. 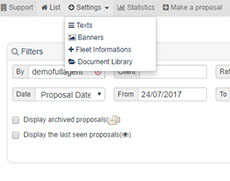 Very powerful and well-thought, this tool supports both Broker/fleet and broker/client interactions using the action buttons provided at each step of sale. It enables to see at a glance the status of your sales so to know at once what has been done and what has to be done. 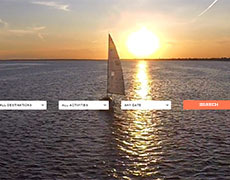 It includes a complete Client file with all charter documents (such as Crew List, Skipper Resume). Subscribing to Full Broker pack gives you access to Sedna App with an unbeatable price. To know more: click here.